Both terms have been used for decades to refer to the Church of Jesus Christ of Latter-day Saints. 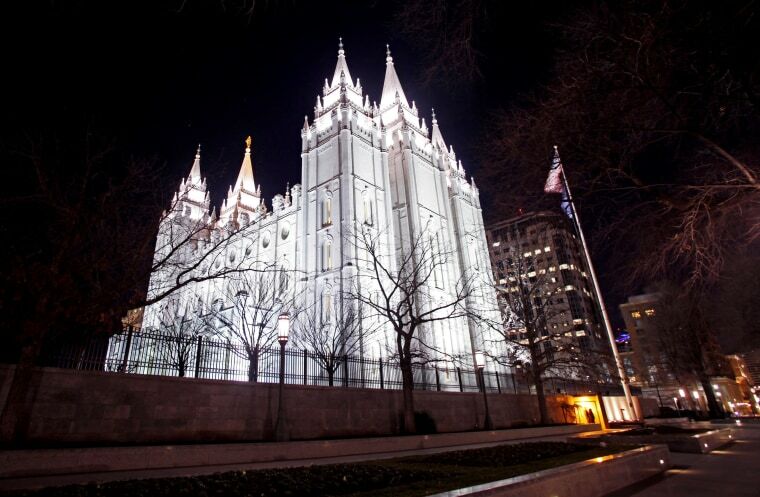 SALT LAKE CITY — The faith has the famous Mormon Tabernacle Choir, recently made a documentary about its members called "Meet the Mormons" and uses "Mormon" in its official website addresses. But on Thursday Mormon church President Russell M. Nelson said he wants people to stop using "Mormon," or "LDS" as substitutes for the full name of the religion: The Church of Jesus Christ of Latter-day Saints. An updated style guide posted by the faith suggests using "the Church," "Church of Jesus Christ" or "restored Church of Jesus Christ" when a shortened reference is needed. For church members, it requests using "Latter-day Saints" or "members of The Church of Jesus Christ of Latter-day Saints." It will be an "extremely difficult change" since the terms are ingrained among members, journalists, academics and observers, said Patrick Mason, a professor of religion at Claremont Graduate University in California who is the chair of Mormon Studies at the college. He recently published a book titled, "What is Mormonism?" Mason said he expects church members will do their best to conform but predicted outsiders will continue to use Mormon and Mormonsim "both out of habit and ease, since the formal name of the church is so long." The term "Mormon" is ingrained in American culture and has a lot of good equity that the faith would be losing by shifting away from using it, he said. He predicts confusion among people who won't realize the full name is the same religion as Mormons, and said there's a "very slim" chance the name change will catch on. "It's a recognized, large religion. Mitt Romney is a Mormon," Margulies said. "It's well established so if you're going to change it you need a reason for changing it that makes sense. . . . Changing the name sounds like you're covering something up."